Inviting All Sec 1-3 Media Club Members to participate! 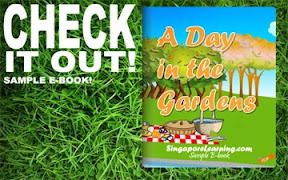 Produce a Flash eBook about your experiences in using the parks and gardens of Singapore and stand a chance to win Adobe Web Premium CS4!!! Contains multimedia elements: images, video, animation and sound. Interested members may approach Mr Daniel for details and participation before 15th May 2009. Looking forward to all your active participation!